Sticks and stones may break my bones, but names can never hurt me; perhaps that used to be true. Or, perhaps it applied to a time before technology invaded safe spaces, before the insidious nature of the internet brought ‘name calling’ along an information super highway which can creep beneath a pillow, late at night. The reach of social media and its ability to slither into the places which were historically safe has opened challenges, both for the victim and those caring for them; innocuous looking devices can contain the most devastating abuse. Professor Mona O’Moore, is the founder of the Anti-Bullying Centre (ABC) based in DCU, St Patricks campus. Norwegian by birth, O’Moore has embraced Ireland as her home for over 30 years, and has fought a long path to ensure her research into the area of bullying and victim intimidation has a place which offers a very real look at cause and effect. “If anyone can manage to hurt them (the bully), then they will go away. But, they will find a new victim. They pick on someone who won’t go and tell, someone who may not be so assertive. That is the tragedy.” She says of those who bully. Bullying is not confined to the playground, or the mobile phone, or the internet, or indeed to those under 20 years of age. 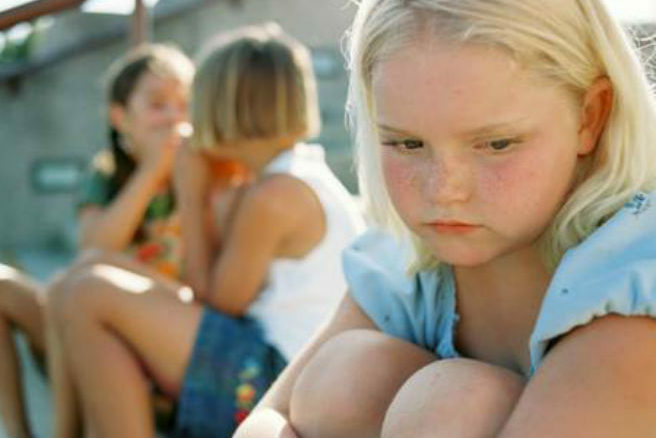 Bullying is a global phenomenon, and a differentiation of age, is rarely the factor that drives the bully. Back in 1993, O’Moore’s name became synonymous with tackling bullying. Parents and schools sought out her advice and ABC became both a centre for research, but also, and perhaps more importantly, it became a professional counselling service. O’Moore is very clear in her belief that the aggression shown by young people at an early age is both manageable by screening and intervention, but also that it is indicative of the behavioural issues which will come up for young people as they move on through their early and later teenage years. More worryingly though, is her belief that people bullied, or victimised at an early age will face those demons later in life, often with catastrophic consequences. Ireland, has a massive rate of young male suicide: “Boys in particular think it is a sign of weakness to come home and say they are being bullied. For fear, perhaps, of being told that its character building. They hide a lot from their parents.” Says O’Moore. In relation to stopping the bully and correcting the behaviour at an early age, O’Moore does not believe enough is done on a prevention scale to challenge inappropriate behaviour: “The minister for justice is now tackling so called domestic violence, and I have said it for years that we have this information research to show that children who are engaged in bullying are at a huge risk of engaging in domestic violence and anti-social behaviour, and adult crime. 64 percent of 8 year olds whose aggression has not been challenged will, by age 21 have a criminal record.” She says. Bullying is not just name calling or the prolonged antagonization of another, it is being ostracised, being laughed at, being ignored – and it is the power that the bully holds over their victim. Bullying is not just confined to playground behaviour. “It stands to reason, that anyone who is allowed go through school and young adulthood unchallenged, pushing others aside by physically abusing them, or mentally taunting them will believe they can carry on that way. Essentially what they then have is a very manipulative tough minded need to control. A dominant approach. But they need help too, but it needs to come very early on.” Says O’Moore. In 2006, Didier Lombard, a French Telecommunications CEO, told senior staff to shed 20,000 employees. ‘Managers should do everything possible to push them to do so “through the window or the door”’, according to a report in The Telegraph Newspaper. Unions say, within a year 35 employees had taken their own life, and when asked to explain the suicides, Mr Lombard described it as a “fashion”, sparking widespread outrage. Workplace bullying is very real here too, and O’Moore has spoken both to those who have been bullied and employers, to put in place workplaces Anti Bullying measures: “Everyone suffers, families, partners, children, everyone suffers with this level of workplace abuse.” Says O’Moore. Bullying is a reason people take their lives; don’t eat, or eat too much, or do both and vomit. It is insidious, subtle, forthright, sneaky, and devastating, and wrong.